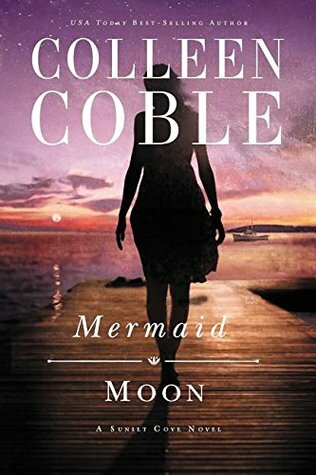 Goodreads: Audra’s father uttered his last words in a phone call: “Come home to Mermaid Beach.” Now she’s back—determined to find the truth. Audra Davis believes her father was murdered. Her childhood sweetheart Kevin O’Connor, game warden of Mermaid Beach, is also suspicious of the accident—but he’s equally determined to keep Audra at arm’s length. She broke his heart years ago when she left without a word. He’s not about to lower his guard and let her get close again. He has his daughter Faith to think about. With his track record, he doesn’t think any woman will stay in down-east Maine’s remote windswept coast. Hoping to discover what happened to her father, Audra takes over his mail boat duties, guiding his trusted boat on deliveries to see what she can uncover. Soon she finds letters from her birth mother—letters postmarked but never delivered. How could her father have kept them from her all this time? Do they have anything to do with his murder? In spite of his doubts, Kevin thinks Audra might be right about her father’s death. As the only law enforcement officer in the area, he has a duty to help her track down the killer. Spending so much time together begins to rekindle the torch he’s carried for her all these years, but he still sees the guilt in her eyes that drove her away in the first place—guilt over choosing to spend time with him the fateful night her mother died instead of fueling her mother’s boat. Can Kevin and Audra navigate their way to each other before a murderer rips them apart forever? Kritters Thoughts: The second in the series and this will not spoil book number one as it takes place in the same small town, but centers around a different person in town. The original characters from the first book make appearances, but aren't the focus. Audra's gets a strange call from her father to say find her mother but her mother passed away years ago, so she returns home to take on the task and gets swept up into a bigger mystery then she ever could have imagined. Again the characters in this book were intriguing and I kept wanting more and more. I loved how there was some full on romance in this one. It didn't seem forced and worked within the bigger mystery. Another great mystery that I couldn't put down - don't pick this one up unless you have a good day or two to devour it!